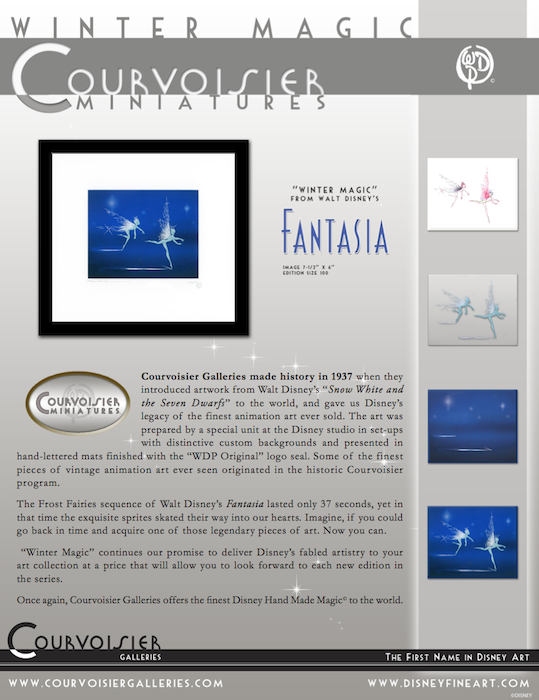 Marketing and advertising collateral, web site and logos for Courvoisier Galleries©. 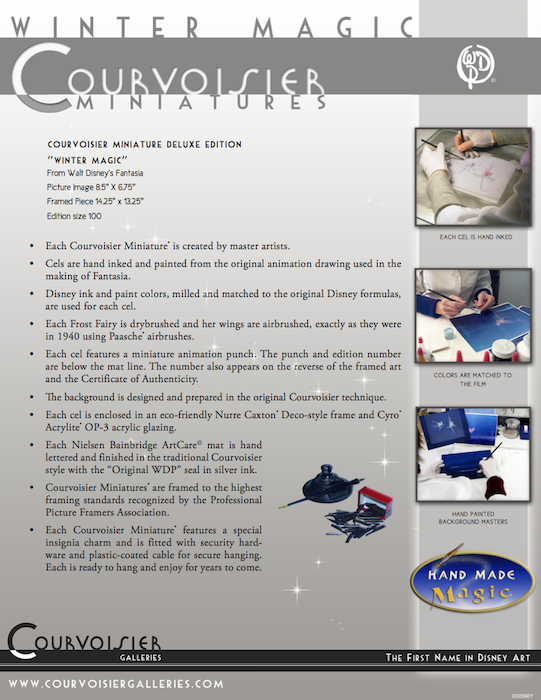 If you are new to animation art collecting, you may have heard the name Courvoisier applied to various pieces of older art. 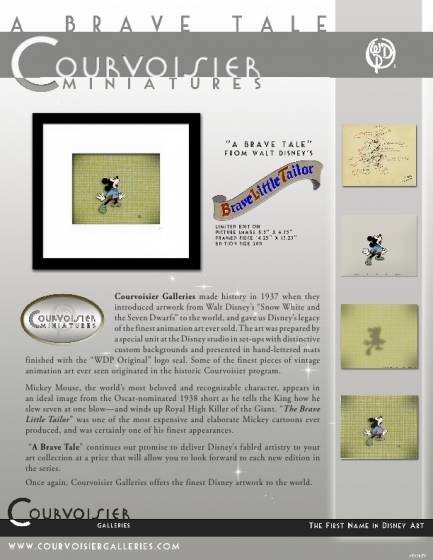 If you are a veteran collector, you already know the name Courvoisier represents some of the finest vintage art available today. 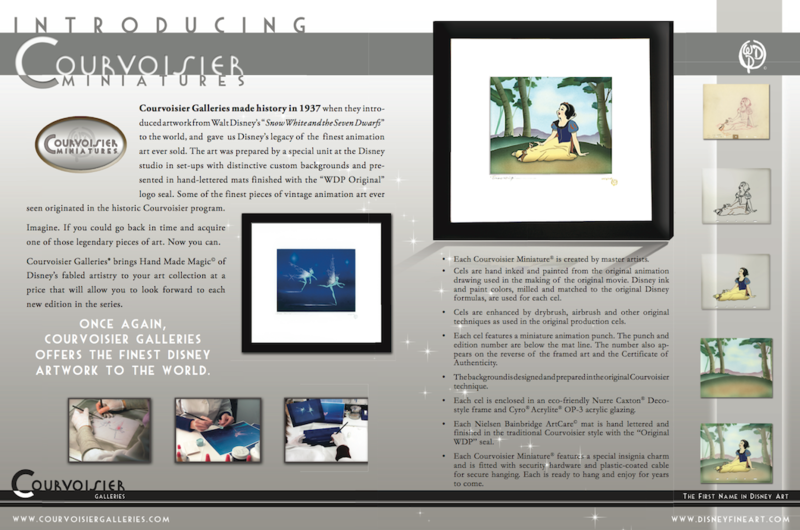 But no matter what your collecting level, there is a great deal to learn about this unique and historic program, which introduced thousands of pieces of the very best Disney animation artwork ever seen. 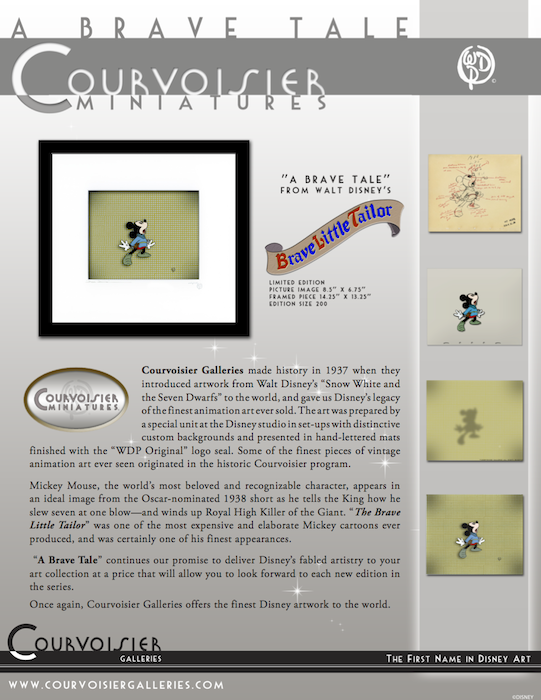 Much of the art we see today exists solely because of Courvoisier, and much of the way we think of vintage art is because of the way Courvoisier and Disney presented it.